In his semi-regular column, Arthur will be reviewing video game cutscenes from the point of view of a film critic, and judging them on their merits as pieces of cinema. Buy Arthur's book on Amazon. I don’t play video games. I may as well be honest about that. But I think that qualifies me to judge Shenmue: The Movie on its own merits, without baggage. 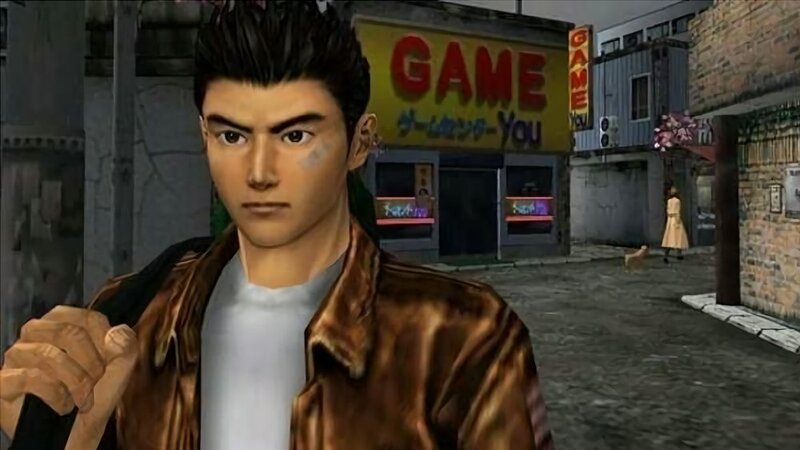 After a bit of a Google search (to try and grasp what the hell I just watched) I think I understand why the original Shenmue game was a bit of a classic. An open-ended, immersive experience where you could freely wander the streets of eighties Yokosuka in real time? I can accept it was way ahead of its time and must have provided hours, nay months of fun to its disciples back in the day. I can even detect a smidgeon of the kind of retro cool aesthetic that has come to dominate this glorious new millennium of ours. From Vice City to Drive to Stranger Things, the neon-drenched eighties vibe was novel and bold in the late nineties (when Shenmue the game first appeared) so the project deserves kudos for being ahead of the curve. With that in mind, it’s a real shame that someone had the frankly misguided notion to make the cut scenes from the game into a standalone movie. Whether it was a case of pretensions outweighing good taste, a crummy joke that got out of hand or even an art experiment, the mind boggles at the fact that this monstrosity made it as a genuine cinematic release (in Japan at least). Stripped of the interactive element of the game, what do we have? Dull scenery and laughable computer graphics. You probably couldn’t write a more anaemic damp squib of a hero than Ryo Hazuki if you tried. Glued into a t-shirt and leather jacket combo (for the whole film), with his god-standard abs and perfect hair, I think he’s meant to be a deadly and compelling lone wolf figure. In execution, however, he’s comical. After his eighth or so street brawl, the failure of anyone to even land a punch on him gets tedious beyond belief, especially since he’s meant to be a schoolboy. He’s out to avenge his father, who has been murdered by some shadowy martial arts master. And there’s some McGuffin of a thing, a dragon mirror or something, that’s meant to be important. But none of that is very interesting. He has a love interest, of sorts, in a vacuous female classmate called Nozomi who adores him. But the relationship is one-sided and sexless, an afterthought in the narrative. In fact, for a while I started to think Ryo’s frigidness was indicative of a transgressive, pro-gay theme: tough guy Ryo coming to accept his latent homosexuality whilst exploring a hidden underworld of leather boys and studs (“Are you guys sailors?”). Alas, it never gets as interesting as that. Ryo sleepwalks through this detective story, stiff, unemotional and unblemished. The sleuth elements have a bafflingly autistic focus on irrelevant detail, Ryo having stilted conversations with a succession of two-dimensional characters giving him “clues” (go here…. go speak to this person…. go do that….) as he gets closer and closer to…. well, nothing much in the end. A fascinating object lesson in the folly of trying to make films out of computer games, Shenmue: The Movie is a horrific, lifeless beast. It’s a real challenge to make a dull film out of a retro-tinged martial-arts-detective-story epic, but when the lead character spends more than half the film working as a forklift driver, you can start to see where they went wrong. Watch this with clenched teeth, a mug of strong coffee and a finger on the fast-forward button.